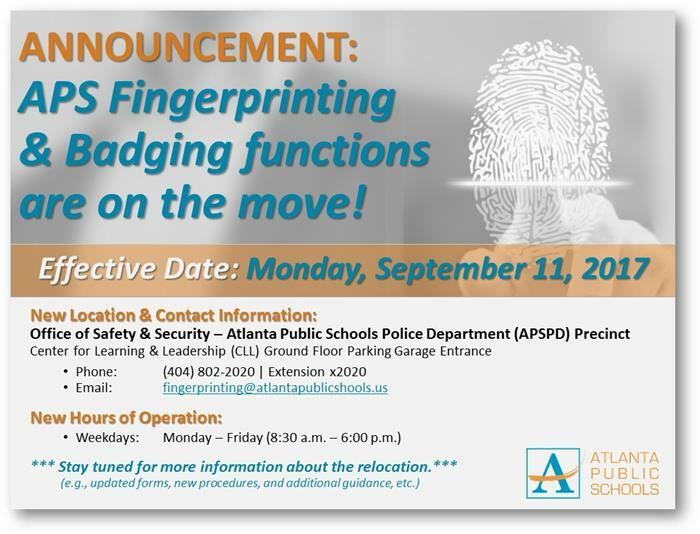 APS Fingerprinting & Badging Functions Are On the Move! With a new student-centered focus, Atlanta Public Schools will launch an in-house Office of Safety and Security in the 2016-2017 school year. The bold new step will include a new Police Department, Emergency Management as well as a Security Operations department. The Police Department will include School Resource Officers who philosophically align with the district’s social emotional learning approach, and a national TRIAD model that involves law enforcement officers serving as informal counselors and educators. The district’s new SROs will be assigned to middle and high schools to support students, staff and parents, and to secure its campuses. The National Association of School Resource Officers is partnering with APS to facilitate SRO training, which involves positive behavior support interventions and other student-centered services such as social emotional learning and conflict resolution consistency. 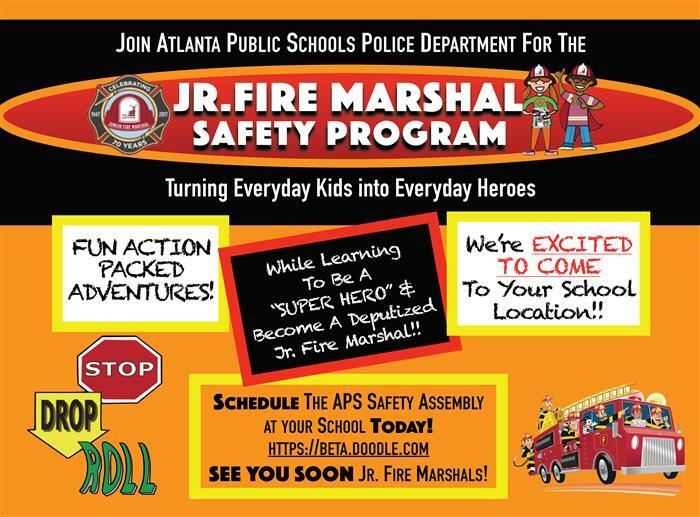 Additionally, the SROs will have staffing assignments and focused training to foster a safe, orderly teaching and learning environment in Atlanta Public Schools. The new APS Office of Safety and Security is led by Dr. Marquenta S. Hall, a veteran law enforcement leader. She will guide a team of more than 100 law enforcement professionals assigned to the APS Police Department (APS-PD), Emergency Management Department and Security Operations Department. The new Office is part of the APS Operations Division. In addition to preparing every student to graduate ready for college and career, Atlanta Public Schools provides a safe and secure environment for its students, employees and campuses. 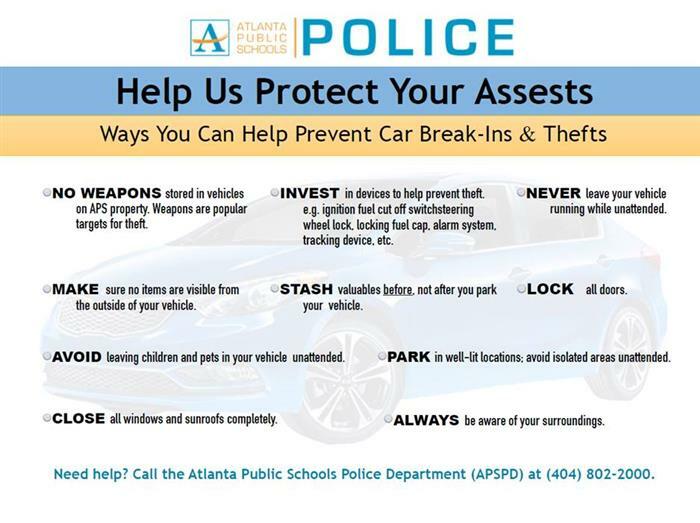 A progressive and forward-thinking organization, the Atlanta Public Schools Police Department appreciates the support of the Atlanta Board of Education, superintendent, staff, and community for recognizing the importance of school safety and the linkage to student success. Restructuring the department into a "new" Office of Safety and Security creates a more effective and efficient unit within the Operations division to better support schools within the district. The re-scoping of responsibilities, expansion of personnel roles - coupled with providing support resources to employees - will directly impact a safe and orderly teaching environment. Create a safe and secure learning environment by providing comprehensive professional public safety, technical and emergency services for students and stakeholders. Expand engagement strategy to include students, staff, parents and community and public safety professionals.